Creating an experiment for the summer ! I find myself even further down the road in this exciting, totally consuming journey. With that comes the thousand apologies I could possibly make as to the lack of entries here, however, it is not without interest, my absence that is. Read on if you will, I now find myself on a BA Textiles degree for Knit ,Weave and Mixed Media; with the second year drawing to a close. Absolutely …How did that happen? Surrounded by equally passionate people. The wealth of stimulus is sometimes deafening ! Sometimes you just have to stand back…. where in the world am I going. What on earth am I trying to say. Sometimes you can have just have too much stimulus….perhaps. With my finals approaching next year, I have a few of these type of questions to answer. Now as many of you know I am a natural dyer first and foremost. Natural colour is my trademark. I live, eat, breathe, teach and grow it! 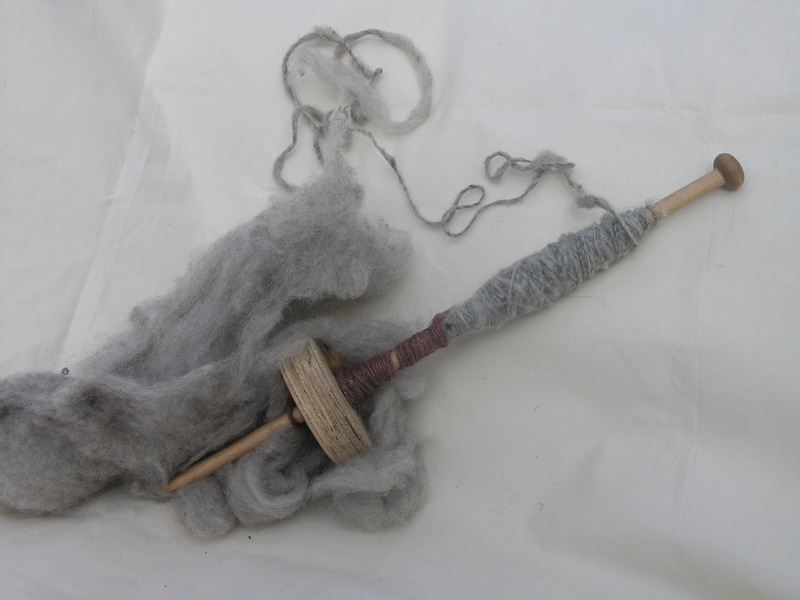 However, I love spinning but do not nearly spend enough time doing it. The BA specialism for me, is creating cloth through weave and natural mixed media; Combine these with my essential ‘being’ that of a gardener, both personally and professionally, Well of course, I want to combine them all together sustainably for my offering. Tall order or ‘natural’ progression, excuse the pun ! 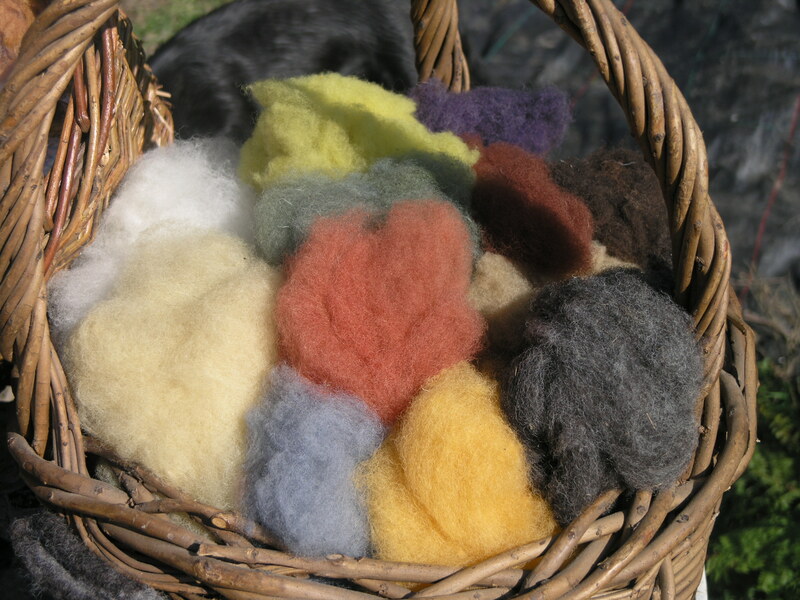 I have requested via social media (locally) a variety of sheep fleeces from different breeds; to prepare and spin and dye them over the summer, ready to use within my finals next year. I was overwhelmed by the choice and condition of the fleeces offered; many donated. The majority of ‘donators’ were smallholders or small scale farmers and young farmers with small flocks of their own. They all seem to have a limited number of each breed, where the animals were treated often as pets or part of the family. It was pure heaven to meet them at their ‘farms’ ; always arriving with my trusty companion, Indigo and often with a daughter or son in tow; curious and country lovers too. The project is beginning already to be so much more than I anticipated. I want to give provenance to the cloth I will create next year; from field to finished samples. To pay tribute to the love and care the animals receive (and give) by honouring each process the fleece receives from me. The fleeces have started to trickle in, although I am expecting to be over whelmed soon as the sheep are shorn, after this period of intense rain. I have tried to keep records to provide the detailed provence I want. Each fleece being logged, scoured and dried and a special hessian sack made to keep the precious fibre until the next process begins. The sack having its own printed and hand sewn label attached. You can just feel the chaos within this order develop can’t you when inundated with fleeces soon! As you can gather, this is not about speed. This is about creating cloth of heritage. Slow, living textiles. That leave their mark as naturally, as sustainably as possible; With regards to the environment with which we ALL come from. It is not aimed at the ‘throwaway society’ in the sense of owning excessive ‘material’ objects but the cherishing of a few, lovingly, well made items with a history; a story to tell, who then, when they reach the end of their lives, are biodegradable; returned to recycle and begin again. Hopefully producing a beautiful ‘story’ for our fast paced times. This entry was posted in Creative Fibres, Inspired by Nature, Resourceful sustainable creativity, Wool and Fleece and tagged BA Textiles, experiment, fibre, fleece, graduation, project on May 16, 2017 by Natural Threads.